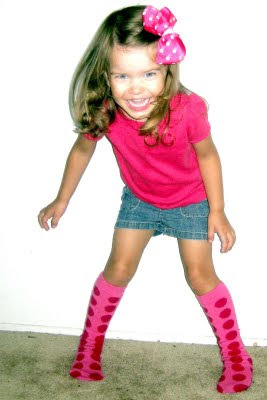 I adore putting my little girl in knee high socks, but I don't adore the high prices. 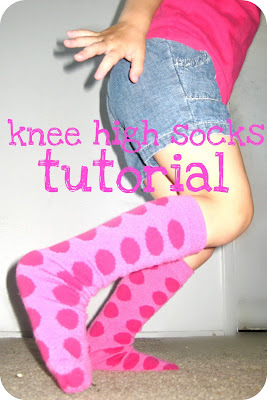 Now you can make your daughter some cute knee highs from women's knee high socks. 1. Start with a pair of women's knee high socks. 2. Flip sock WRONG side out. 3. 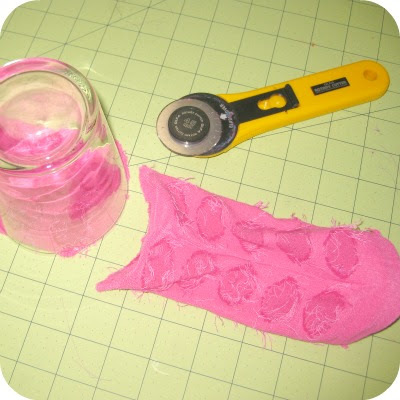 Use a glass and a rotary cutter to cut off the bottom of the sock right above the heel. 4. Stitch cut edges closed with a wide zigzag stitch (width:5, length 2-3), or use a serger. 5. Flip RIGHT side out and put on immediately and refuse to take them off. 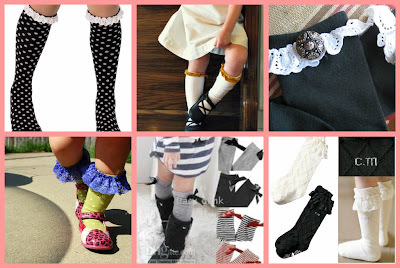 Check out my other tutorial on making stretchy ruffles HERE, or making bows HERE ... perfect for adding to these socks. 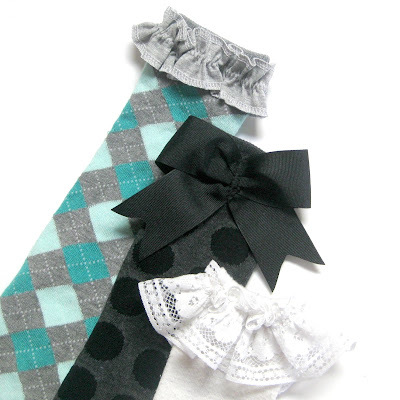 Those bows above are made using 1 1/2" ribbon, and using the 4" template. Collage below is some inspiration ... images pulled from google images. She looks adorable with her knee socks. Thanks for sharing. Thank you so much for the idea. I have a 20 mth old and it is so hard to find knee highs for her. Here's something I've recently tried and it works ok...take 2 pair of the long-type socks from Target, Old Navy or Children's Place (they are long, just not tight enough to stay up at knees), cut the top 1 1/2" of one pair, fold in half and sew to top of other pair. Then I zigzagged the edge of the cut pair. It made a cute ruffly edge and both pairs were saved. Thanks again.